Imagine a day when a blind man can scale the world’s highest mountain, a paraplegic woman can compete alongside able-bodied triathletes, and below-the-knee amputees can scale towering rock walls and ice falls most wouldn’t dare. No need to imagine. That day has already come, and the Colorado athletes responsible say they’ve only just begun. Downing – a motivational speaker who runs adventure camps for women in wheelchairs – is among a host of local pioneers who have faced adversity by not only pushing their own limits, but also opening doors for others with physical challenges to do the same. 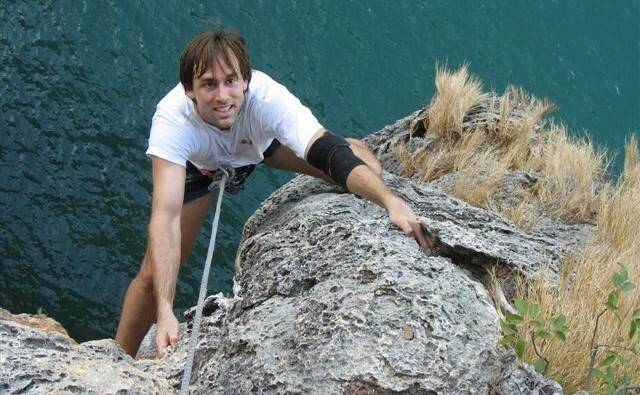 Since his legendary ascent of Mount Everest on May 25, 2001, Golden-resident Erik Weihenmayer – who is blind – has teamed up with Mark Wellman (the first paraplegic to climb the 3,000-foot rock face of El Capitan in Yosemite) to form No Barriers, a non-profit that seeks to connect people with disabilities to the technology and knowledge they need to lead active lives. After losing his foot during an accident on a frigid rock face in Alaska, Boulder climber Malcolm Daly helped launch Paradox Sports, a nonprofit which hosts adaptive rock and ice climbing outings and reaches out to amputees in the days following their accidents to show them what’s possible before self-doubt sets in. All three concede they’ve had their dark days, but in discovering their passion and surrounding themselves with people who embolden them to pursue it, they’ve been able to climb out of them. Her sport served as a catalyst to brighter days. “From the beginning, I had recreational therapists in my room telling me ‘You were an athlete before. You will be an athlete again,’” she recalls. Craig staffers showed her how to use a hand-cycle and racing wheelchair and helped her apply for grants to buy her own. Friends rode alongside her for hours as she settled into her new equipment, and overcame her fear of the road. Five months after her accident, Downing competed in her first half-marathon. Soon thereafter, her first triathlon. Having grown up with a degenerative eye disorder called retinoschisis, Weihenmayer could see well enough as a child to ride his bike and play in the woods near his Connecticut home. But the summer before his freshman year in high school, his vision slipped away for good. In the coming years, Weihenmayer would hone his mountaineering skills and craft systems to enable him to navigate most any sport. 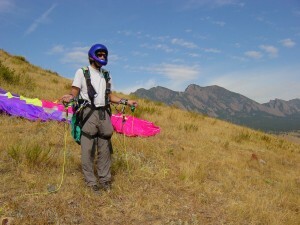 While hiking, he uses long trekking poles and has his partner wear a bell and warn him of drop-offs ahead. On glaciers, he listens for the crunch of boots on snow. 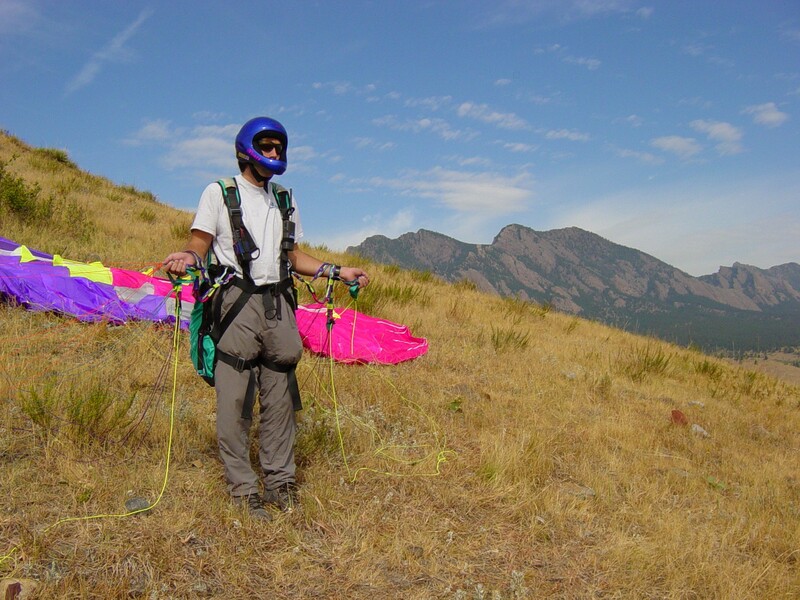 When paragliding and kayaking he wears a radio, and lets his friends’ voices be his guide. Since Everest, he has outdone himself many times: In August, 2008, he became one of fewer than 100 climbers to ascend the highest mountains on each of the seven continents. And for this summer’s grueling ABC reality show Expedition impossible (in which his team placed second against 11 able-bodied opponents) he leapt from waterfalls, sprinted through crowded cities, and galloped across the Moroccan desert on a horse. “Advances in technology have helped, and people’s mindsets toward people with disabilities have changed, but when you can actually show people what’s possible, that’s a big game changer,” says Weihenmayer . That’s the point of No Barriers. Through online and coaching, and sponsorship for equipment and expeditions, the organization has helped quadriplegics learn to sail, amputees learn to kayak, and a group of wounded soldiers ascend 20,075-foot Lobuche East in the Nepal Himalaya. This summer, more than 600 people showed up at the No Barriers Summit in Winter Park. Among them was Kyle Maynard, who was born without arms or legs, but wants to climb Mount Kilimanjaro. Daly says similar stories are what kept him from despair as he sat freezing, anchored to an ice ledge 2,500 feet above ground in May of 1999. He’d been climbing Thunder Mountain, a remote crag in the Alaskan wilderness, when he got hit by falling ice, lost his grip, and tumbled 200 feet. His partner chipped out a “coffin-sized” ledge for Daly and went for help. His feet mangled and bleeding, with bones exposed, Daly would spend the next 48 hours there. 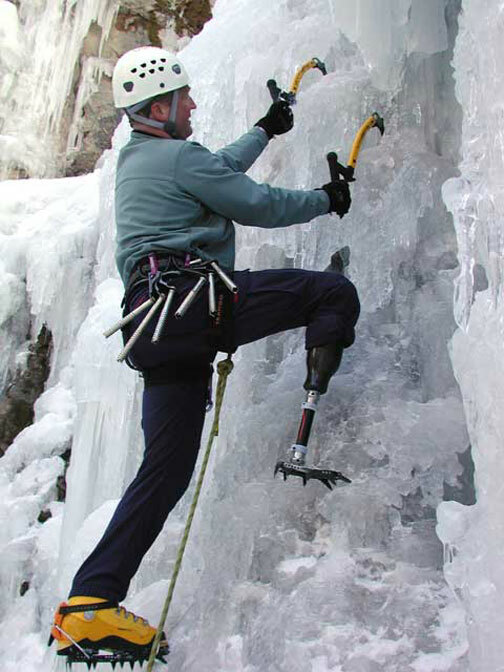 Thirteen years later, Daly – who lost his right leg below the knee – has custom carbon-fiber prosthetics for every sport he does, (ice climbing, rock climbing, cycling, yoga, and fishing). And his nonprofit, Paradox Sports is often the first to reach out to a new amputee in the days after an accident, offering guidance on how they can someday return to their sport, and their life. He does, and he’s never looked back.